Fana Melville, founder of Huze Makeovers is a welcoming, professional and friendly makeup artist with over 8 years experience in the industry. 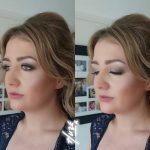 As well as providing hair and makeup looks for weddings, parties and other special occasions, Fana is also experienced in the art of Indian bridal makeup. 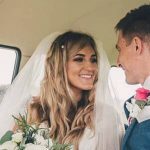 Fana cares about making her clients feel extra special on their wedding day and wants to make the experience as enjoyable and stress free as possible. That is why she offers a trial as part of her wedding package to ensure that you are able to have an in depth discussion and explain to her your vision, so that she can create the exact look that you desire. Wake up on your wedding day feeling confident and satisfied that Fana will go that extra mile to make sure that you look radiant and flawless on your big day. Fana knows how important tradition and culture is you and always keeps this in mind when creating your look, whether you are aiming for a natural and glowing one, or a glamorous and stylish one. Fana’s makeup collection includes a huge range of high quality products to ensure that your hair and makeup lasts and that you remain fabulous throughout the entire day. 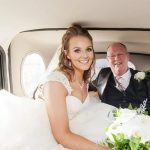 If you are looking to receive a high level of service, have confidence that you wont be let down and most importantly look stunning on your wedding day then please be in touch. If you are interested in my Indian bridal makeup services, or have any questions, give me a call on 0770 9290 907. Alternatively, you can email me at info@huze.co.uk and I will get back to you as soon as possible. 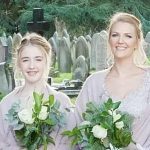 I provide Indian bridal makeup services in Wirral, Chester and across North Wales.